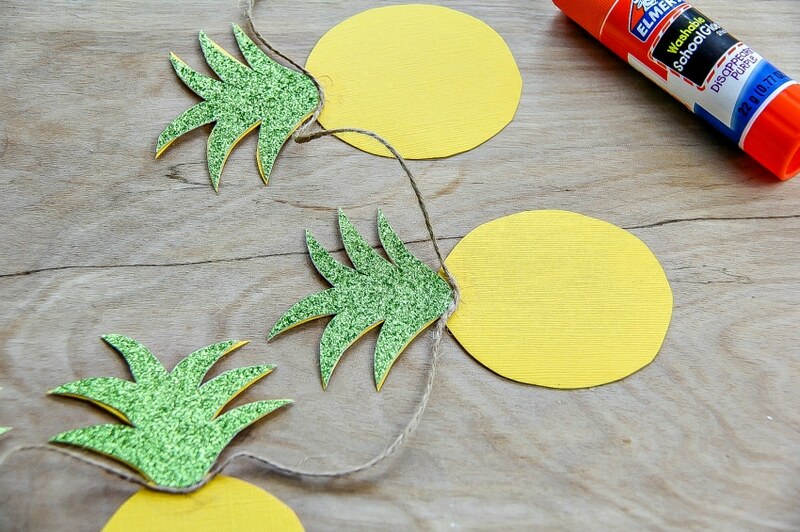 Spruce up your backyard barbecues and summer parties with this simple pineapple garland. 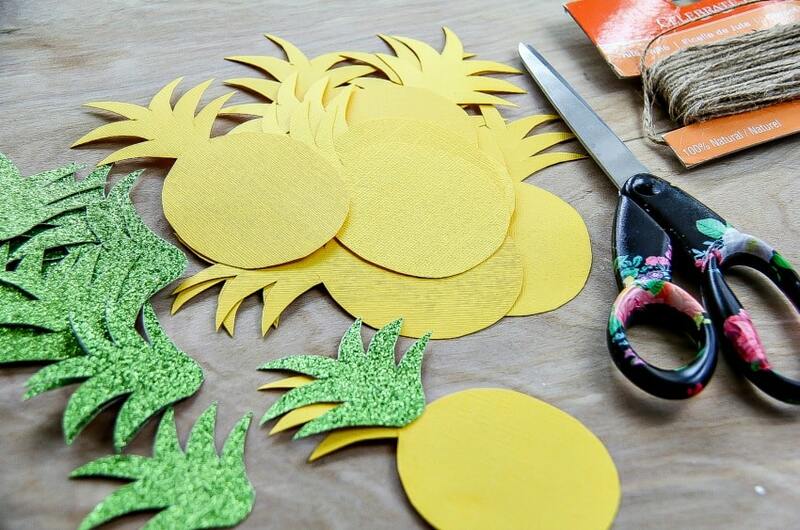 It’s the perfect summer craft project for kids. The summer is all about fresh fruit and sunshine. 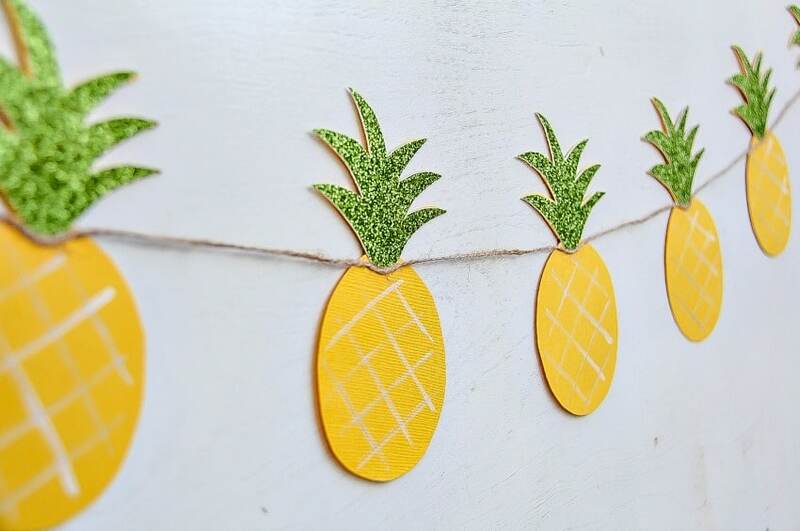 A pineapple garland will make the perfect accessory for any upcoming gathering or backyard festivity. Even if you want to keep it up all season long – it is truly the perfect addition! I just love how it brings so much color to the space! 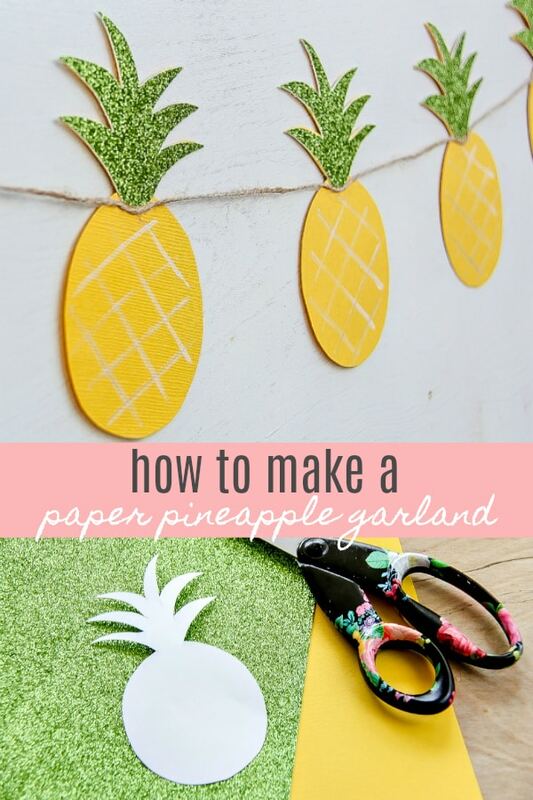 Making a paper pineapple garland is easier than you think. Truly! This DIY craft won’t take you much time at all. In fact, I would suggest you recruiting some of your little ones on board to help out with the fun. I know that my daughter always comes running whenever there is glitter involved with a project. LOL! Ok, let’s get right to it. You don’t need many items to get this puppy off the ground. Just a few simple arts and crafts goodies and you will be on your way. You can hang these garlands from your mantel, above your food table, or outdoors on your patio. I’m pretty sure this one will end up in my daughter’s bedroom eventually, she loves pineapple decor. 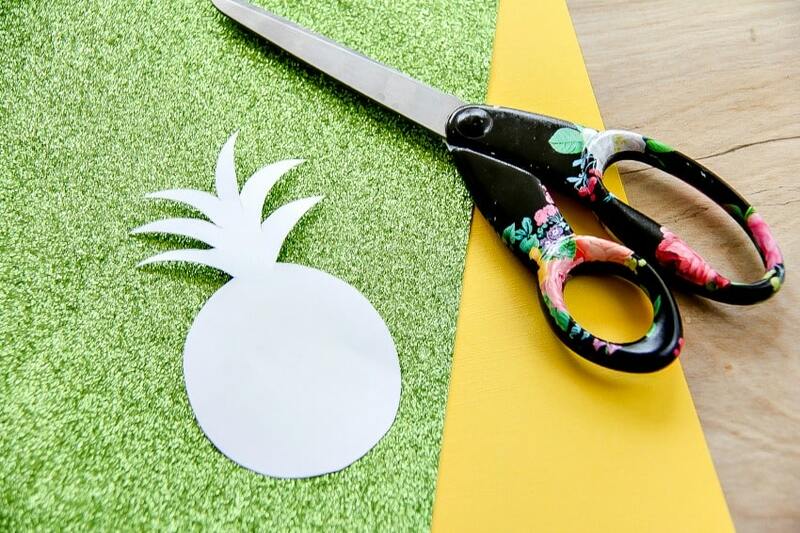 Print and cut out a pineapple, then using it as a stencil, trace around it on your yellow cardstock, and then just the top on the green cardstock. 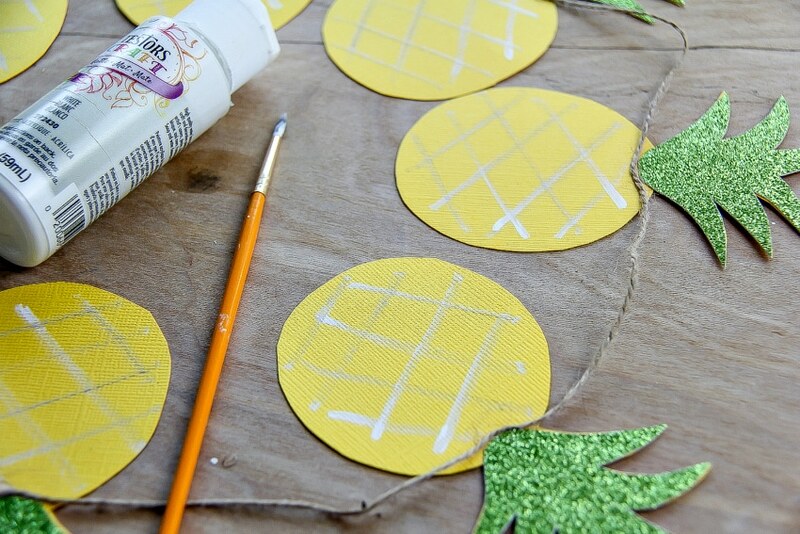 Tip: I used PicMonkey to create a pineapple stencil for this project. Using the glue stick, attach the green top to the yellow, then add a little extra glue underneath to attach the hemp cord. Just make sure you are using a glue that dries clear. The last step is to dip a paintbrush into white acrylic paint, and then after wiping a little off (so that it’s not thick) create a cross-cross pattern on each of the pineapples. And there you have it, the perfect addition to your summer fun, and a great craft project for the kids to do.